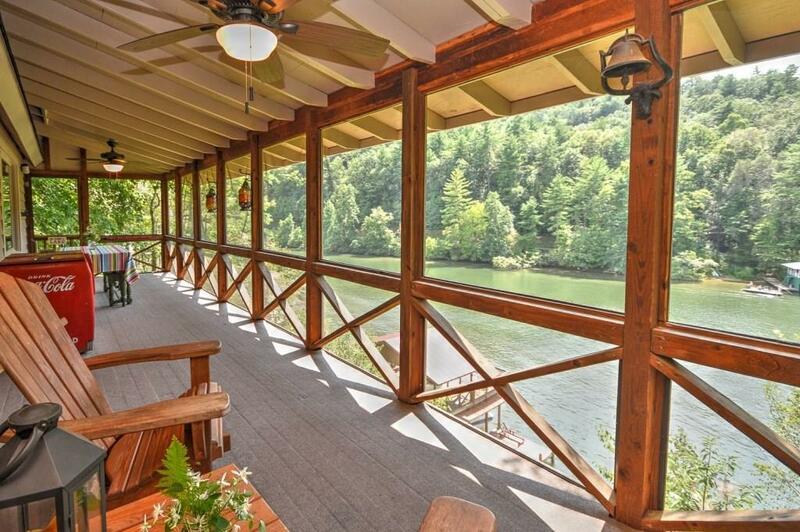 Its all about the Lake View! 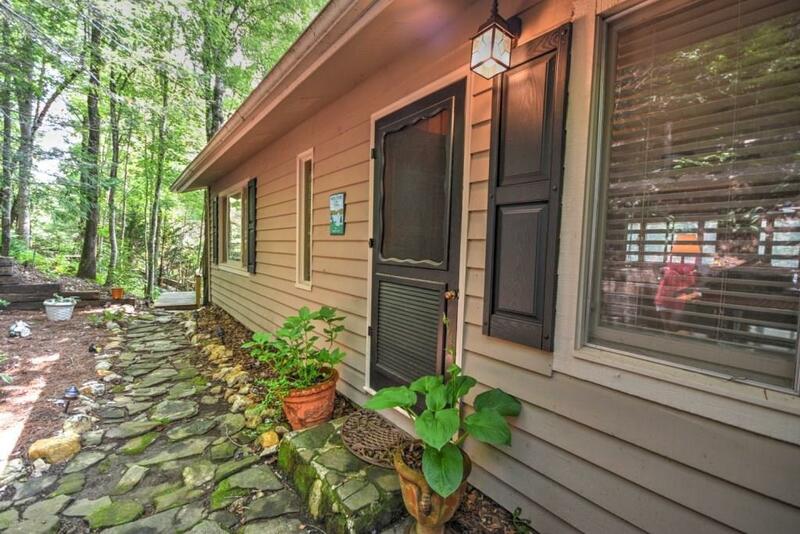 Spectacular water views from your Screen Porch in this charming three Bedroom/two bath Lake Rabun Cabin. 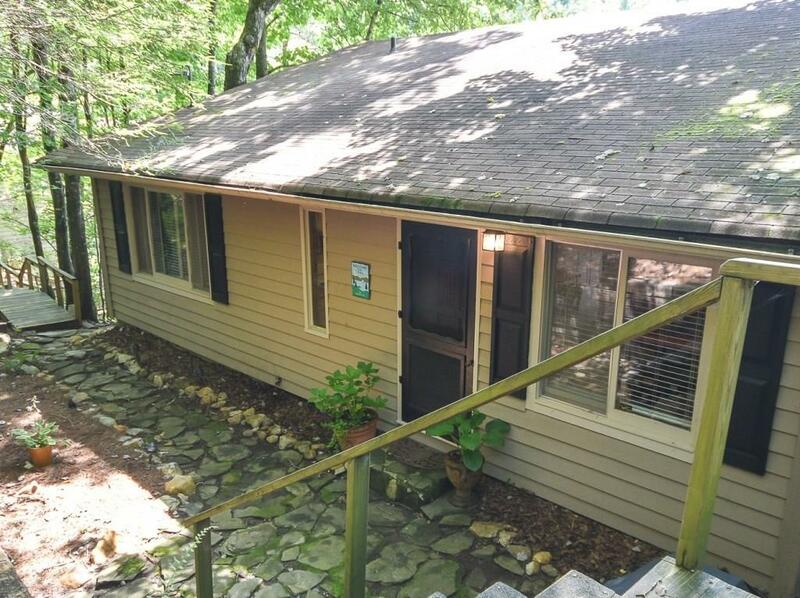 First floor features Open Kitchen/Dining/Family area with views of the lake, Stone Fireplace, two bedrooms and 1 full bath. 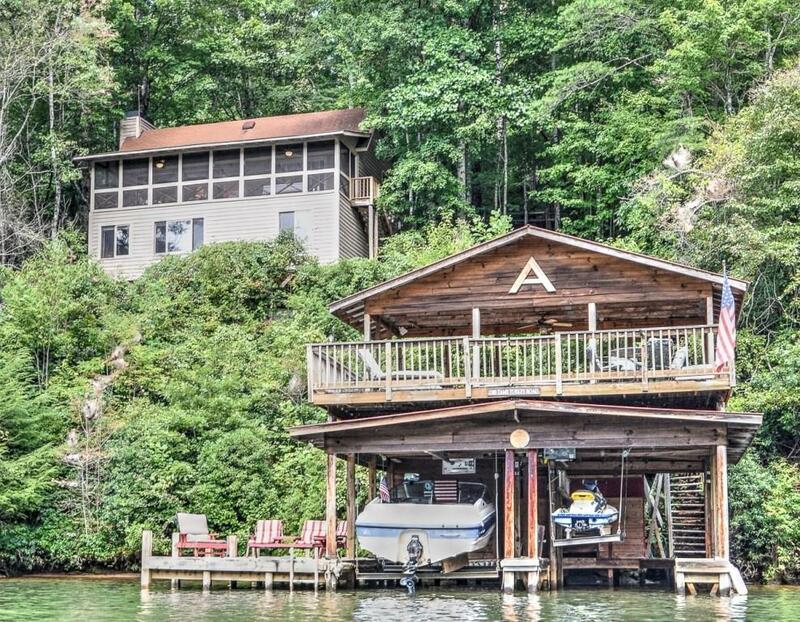 Lower level offers 1 very large bedroom, full bath, open media or bunk room and views of the lake, Two Stall Boathouse Open and Covered Deck, Sun dock, beach and swimming area. Near three waterfalls. Fee Simple property, 1 Acre on lake front and two additional acres already perk tested to build future homesite.